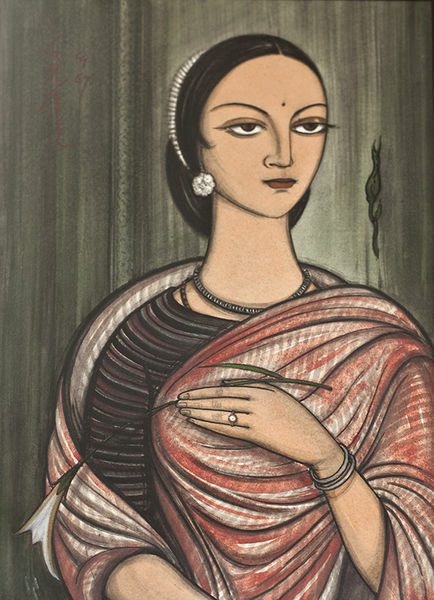 Angelo da Fonseca, who was known for his Indianised Christian themed art. 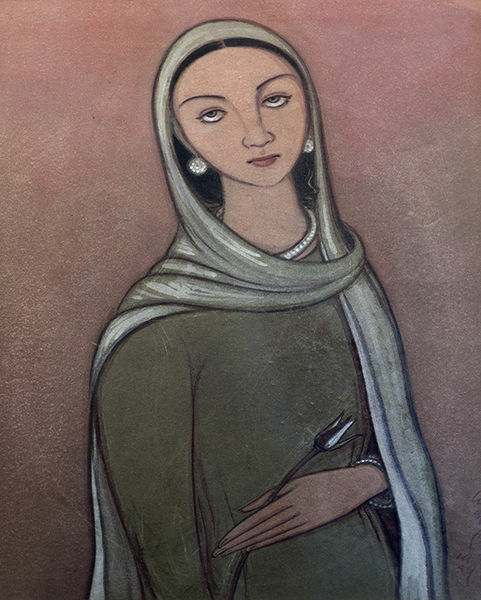 The two paintings, dated 1967 and 1959, represent the two most common dress forms worn in India, the sari and the three piece that includes a dupatta and kurta teamed with a salwar/chudidar. This entry was posted in 1950s, 1960s, Art, Christianity, Goa, Indian Dress, Indian fashion, Indian Women, Paintings, Salwar Kameez, Sari, Sari Blouse, vintage art, vintage fashion, Women and tagged 1950s, 1959, 1960s, 1967, Angelo da Fonseca, art, Christian Art, goa, Goan Art, india, painting. Bookmark the permalink.